It was already midnight when my friend, Men Yew decided a spontaneous hike to Broga Hill before dawn to feast on the amazing view of sunrise at the crest of the renowned hill. 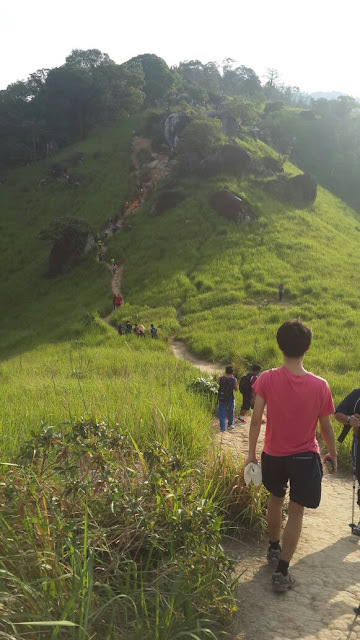 As a beginner hiker, I asked him whether I could just wear a pair of slippers instead because I did not want my running shoes to become worn out or possibly all drenched if the terrain was muddy. "Not advisable. but it should not be a big deal since I have done it before." 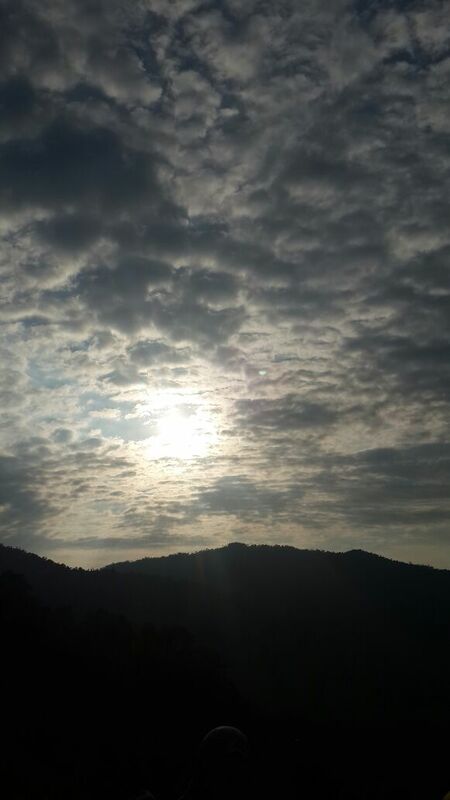 Unfortunately, we did not have the chance to catch the sunrise due to our late departure from my place. 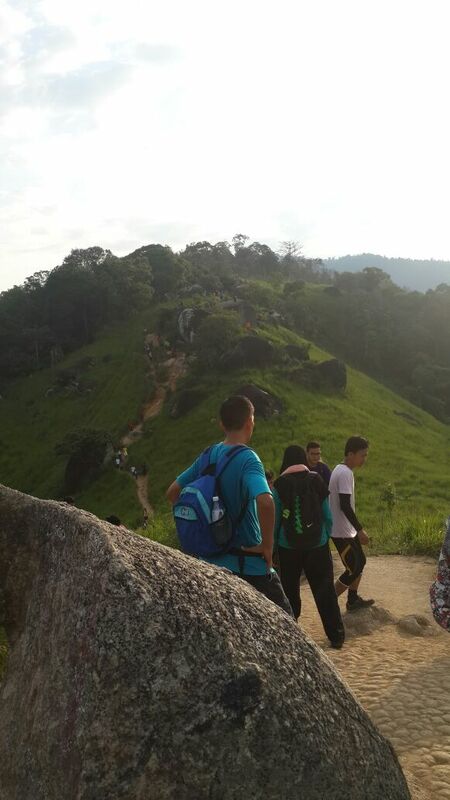 Broga Hill is located in Semenyih, Selangor in the proximity of the University of Nottingham Malaysia Campus, and it is one of the most prominent hiking spots amongst the locals for the facts that it is beginner-friendly (not many steep slopes) as well as having an extremely picturesque, vast greenery. 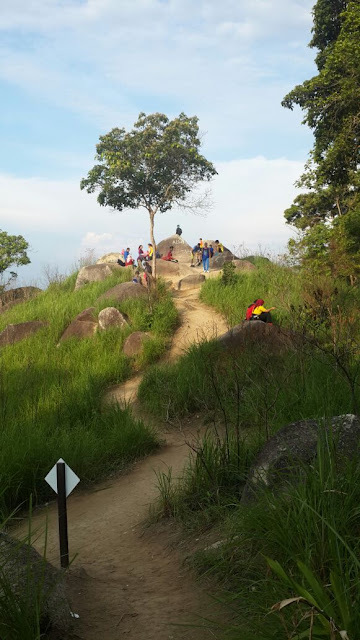 It is also known as Bukit Lalang (Lalang means Blady Grass) because of the unusual abundant growth of Lalang here. 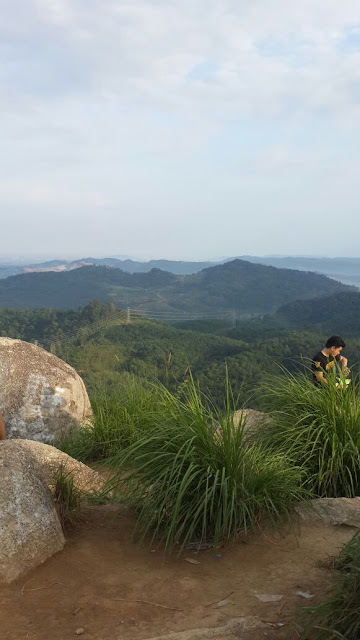 There are three peaks in total, but from what I learnt from Men Yew (a seasoned hiker), just stay at the first or the second peak for the perfect view of morning sunrise. There were a lot of hikers on that day (mostly in large groups), but I did not really feel any "claustrophobia" because the trail was sufficiently big. 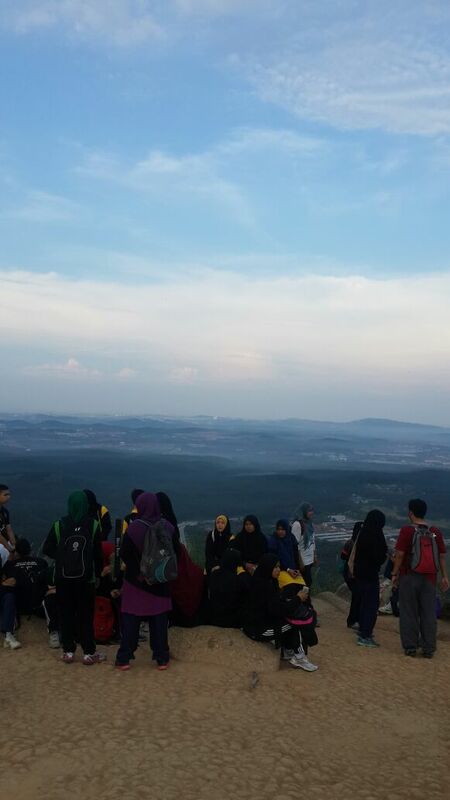 It turned out that the break of dawn occurred right before we climbed up the hill. 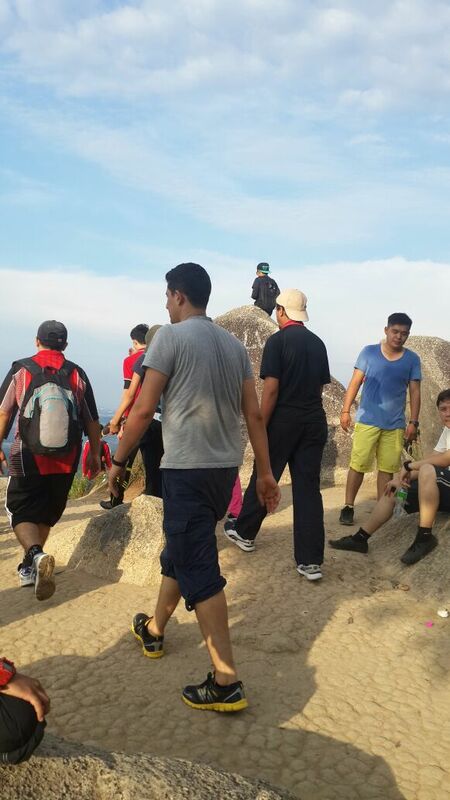 Hiking? Uphill? No, thank you. Hehehehehehe!!!! HAHA! 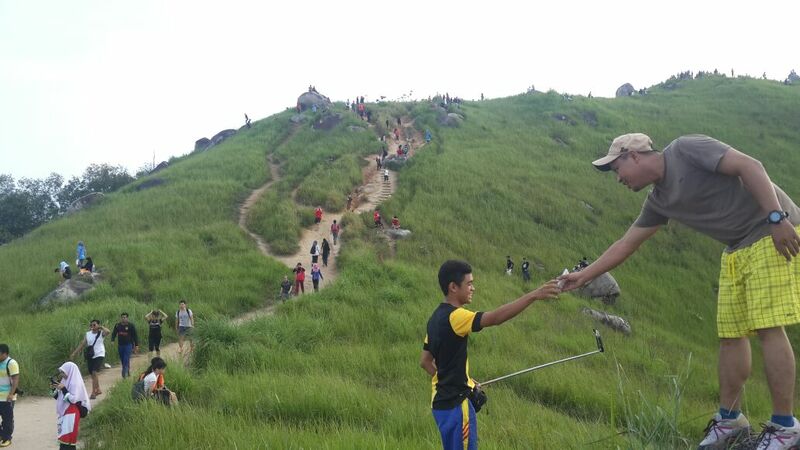 Trust me, it would not be that uphill once you get started! wah, respect ... i've never done broga before ... my fitness level has gone down in the last few years, so anything to do with slopes is a challenge for me!